"We don't make excuses, we make it happen!" *MAROON Wool Jacket (S-XL) with quilt lining. *WHITE Polyurethane sleeves with matching knit trim and pocket trim. *LAST NAME on upper back, BULLDOG logo in center back and ONE SPORT/ACTIVITY in 2" poly-twil below logo. *FIRST NAME, and GRADUATION YEAR embroidered on right chest. *Varsity LETTER will be sewn on the left chest if/when supplied by customer. 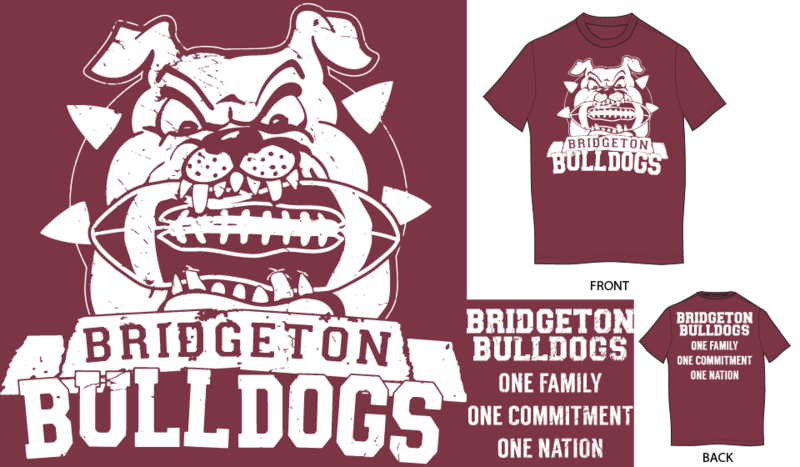 Order now to help support Bridgeton Football! A portion of the proceeds will go to Bridgeton Football. Only select “Local Pick-Up” if you are able to physically come to Cumberland Engraving in Bridgeton, NJ to pick up your order. Those orders will not be shipped, and will be available for pick-up during regular business hours. Call us at (856) 451-5052 if there are any questions.